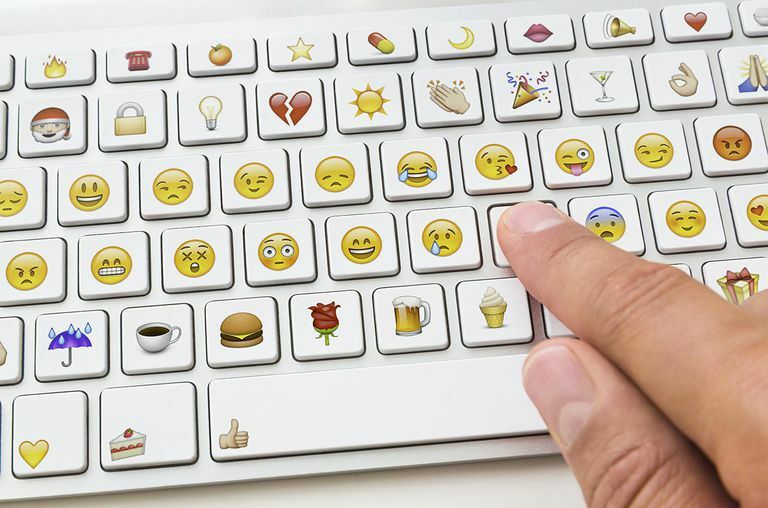 Emoticons are "emotional icons" for messaging. Also known as "smileys", these modern-day glyph shapes are used to add emotion and style to email. Emoticons, when used well, can add the subtleties of vocal inflection, facial expression, and body language to a written note. Emoticon use is actually quite simple: you type simple keyboard characters and view the majority of these shapes sideways. It is particularly useful when the mood of your written message could be easily misconstrued. Yeah, but you're never on time, anyways. I'm looking forward to Friday night. Example 2a is strictly a statement. Example 2b, with the rose flower emoticon, is a statement with innuendo. Definitely more romance factor with example 2b! Emoticon "smileys" are not for all correspondences, especially not for professional business documents. Emoticons, however, are very common in personal emails in an informal setting, or in chatrooms and online discussion forums. The classic "smiley" emoticon above was created in 1982 by a Carnegie Mellon student named Scott Fahlman. He was spurred to do this when a fellow student's bulletin board joke was misunderstood. FYI History Note: this is the original 1982 conversation that started modern-day emoticons. t('. 't) Those are fighting words! Put 'em up! :( ) I have a big mouth. @= I am pro-nuclear war. *<:-) I am wearing a Santa Claus Hat. %-) I am brain dead right now. :-|| I am seriously angry. (_)> Want to have some coffee? >;-> I am winking in a devilish way, because I just made a lewd or suggestive remark. Here is a list of "emoticons" (emotional icons or "smileys"). Note that some of these emoticons are obvious at first glance, but others require more creative imagination on the part of the reader. d :-o Hats off to you!